There’s no denying that squats are perhaps the most effective exercise that you can do in the gym. They require power, strength, focus, and some serious willpower. They are hard on the legs, lungs, and back. And they deliver growth in just about every part of the body from head to toe, even though they are intended as a leg exercise. Here are some tips for spicing up your leg workout and making the squats you do a bit more effective. These movements are in no way intended to replace your traditional squats – only to make the practice of squatting more conductive to new growth. Are you never sure if you’re going down far enough? Do you seek a little bit of support and safety for that moment when you ‘bottom out’? Are you one of those guys (or gals) in the gym who tries like mad to measure exactly the range of motion you should be using on squats? If so, box squats might be right for you. This exercise uses no weight at all, but allows you to utilize leverage to place pressure upon your thighs. This movement is useful for those times when you don’t have access to a squat rack, but need to deliver some front thigh stimulation. Grab the side of a wall or bench, place your body weight upon the balls of your feet, and slowly lower your body down with the brunt of your entire body weight upon the balls of your feet. Your glutes and hips won’t feel much targeting – but your quadriceps muscles certainly will! Train with high repetitions and with as much intensity as you can muster. Are you a taller man who has trouble getting traditional squats to hit your front thighs? 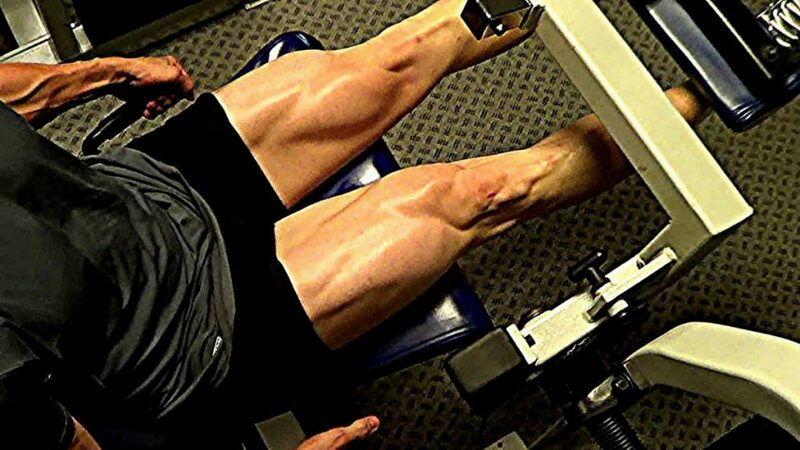 Does the length of your upper legs result in your not getting the kind of pump you need? In order to pull some of that tension away from the glutes and hips and move it to the front quadriceps muscles, give heel squats a chance. Place a small block of wood (3/4 to 1 inch thick) underneath your heels and complete squats as you normally would. The result will be a transferred pump – and better growth, hopefully! This exercise is very dangerous, very tricky, and very effective to boot! Instead of using a barbell for this movement as you would with traditional squats, try a light dumbbell in your hand. Complete squats as you normally would, with a dumbbell in the hand matching the leg doing the work. The other leg should be protruding forward and held out in front of you to balance your body during this very tricky movement. It may take some time to become accustomed to this exercise, but you’ll get the hang of it with time. As stated, you should keep your standard squats in your rotation. They are tried and true and will never let you down. However, you should also toss in these movements form time to time to keep things fresh and keep yourself growing! This entry was posted in Training and tagged Squats Training. Bookmark the permalink.